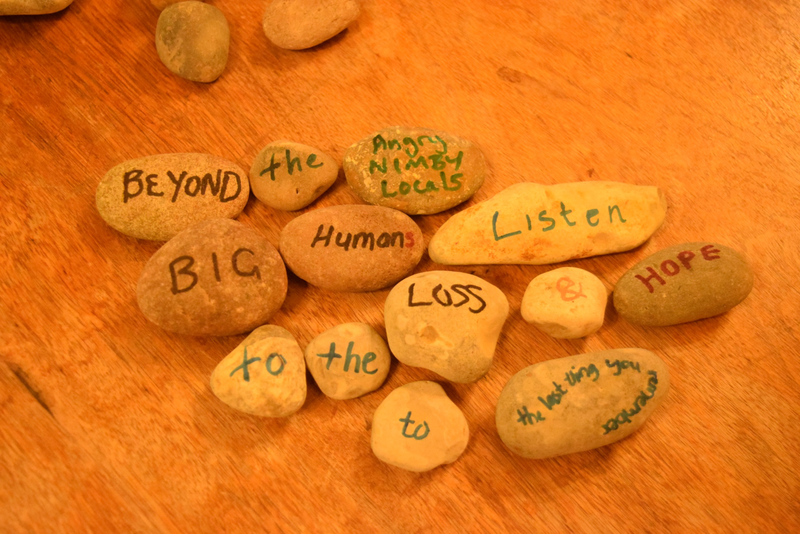 ‘Pebble Poetry’ is the project’s own method to engage with participants through the materiality of stone. 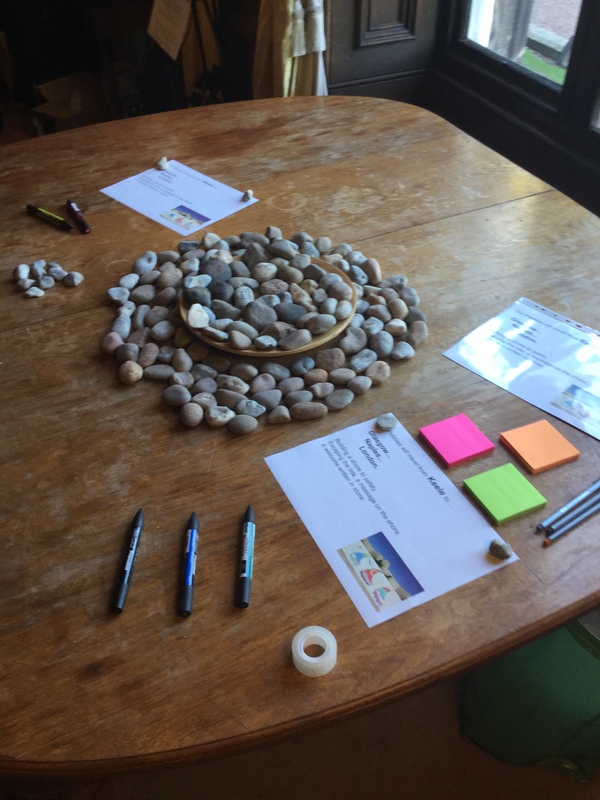 The model ‘pebble poetry’ was first introduced to gather participants’ feedback, they were invited to share their views on pebbles, to literally write their thoughts ‘in stone’. 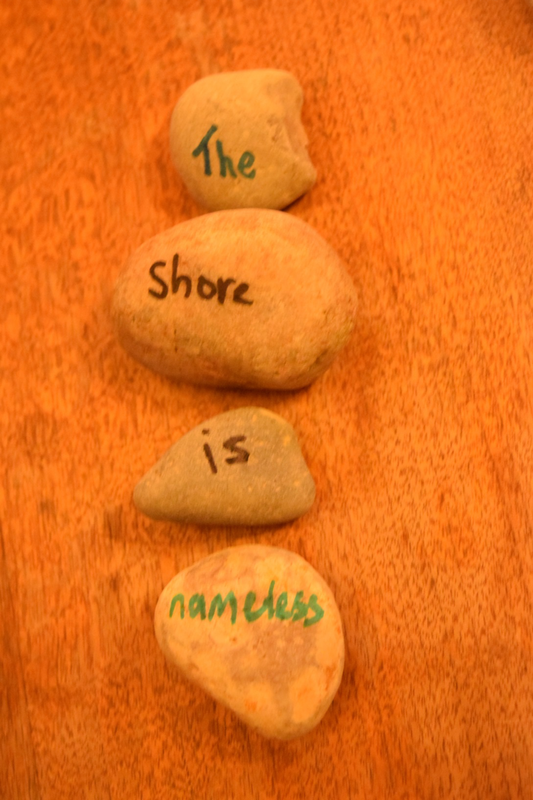 An extract from Matthew Arnold’s poem ‘Dover Beach’ (1851) reminds us of the power and significance of pebbles. With tremulous cadence slow, and bring The eternal note of sadness in”. 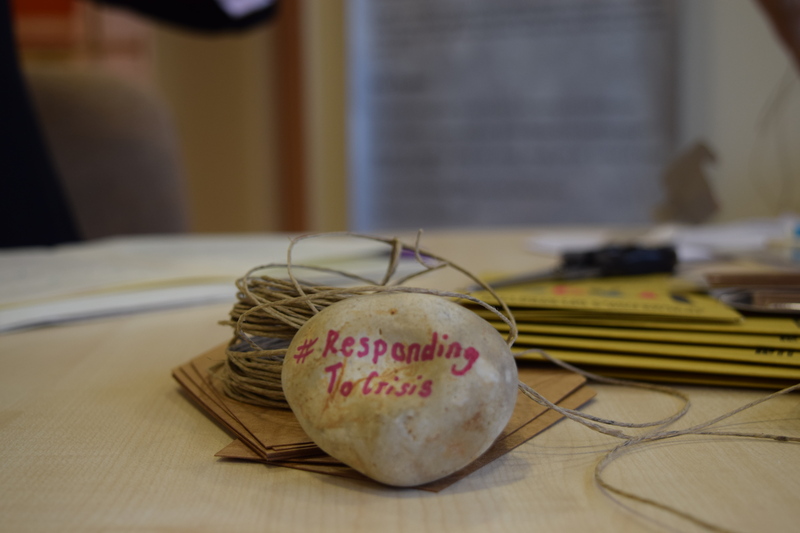 A pebble installation was set up at Keele University, last October, where impromptu pebble poetry was realised by creative writing students and tweeted live, expanding the voice of participants further. In Naples, for our second workshop (April 2017), local, eclectic artist Ulderico created an installation with pebbles. 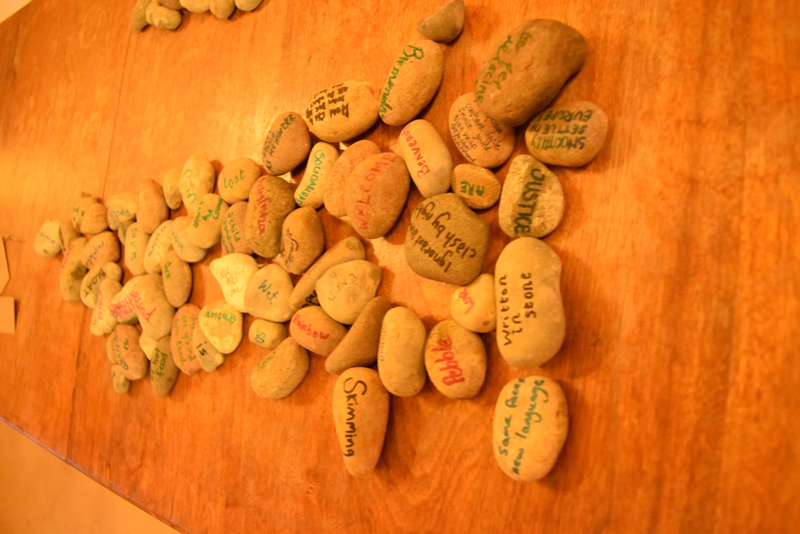 Conceived as a work-in-progress and collective action, the installation prompted creative engagement with pebbles. 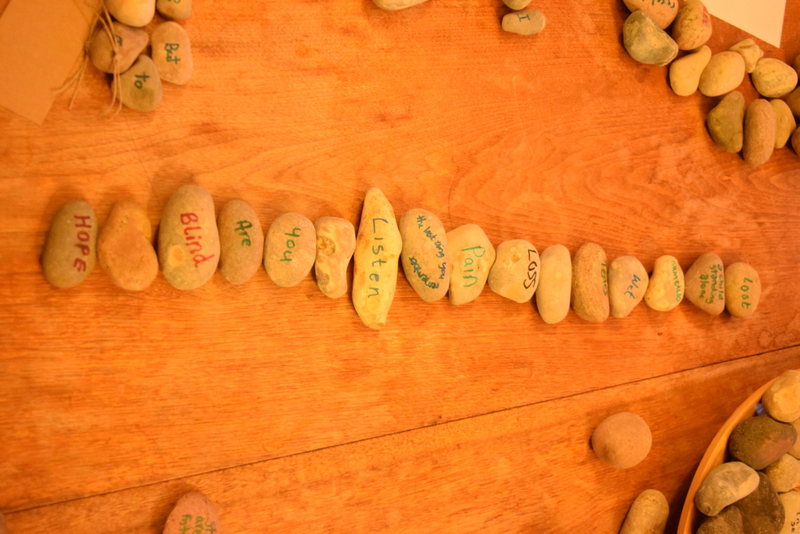 A circle made of driftwood, evoking the Mediterranean, contained a heap of pebbles which were inscribed with words by people from the audience and then placed out of the circle. The installation prompted to rethink about naming and border crossings. 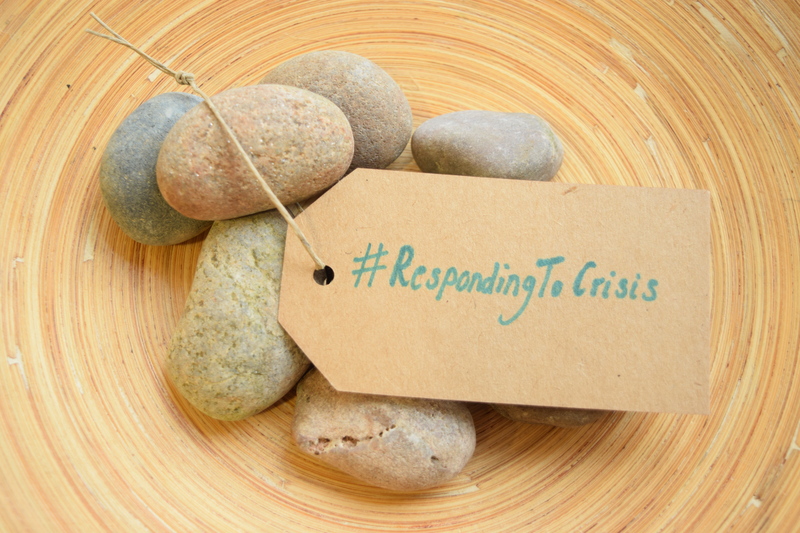 Pebbles carrying words, phrases and thoughts have travelled from Keele, to Naples to London, to call for places of sanctuary. Building a shore to safety. Escaping the tide, a message on the shore.